If I ever told you that I like eggs and toast the best for breakfast, I lied to you. Straight-up lied. 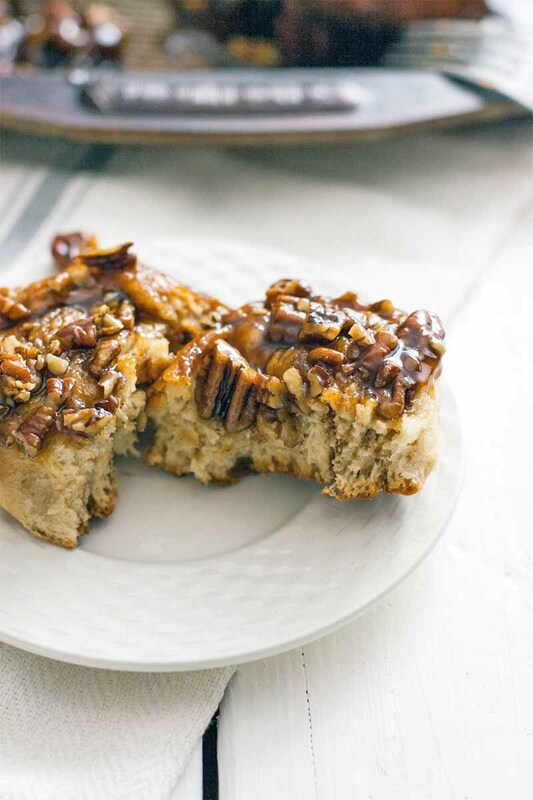 Because really, these pecan rolls are where it’s at! Honestly, these simple sticky buns make me feel like a really awesome person, and a really horrible person, all at once. First, I feel like a horrible person because I made these, and then the next day we went up to AJ’s parents’ house. We brought two of the leftover rolls with us and ate them the next day for breakfast – and didn’t share them with anyone. But I do have some sort of redemption to offer. 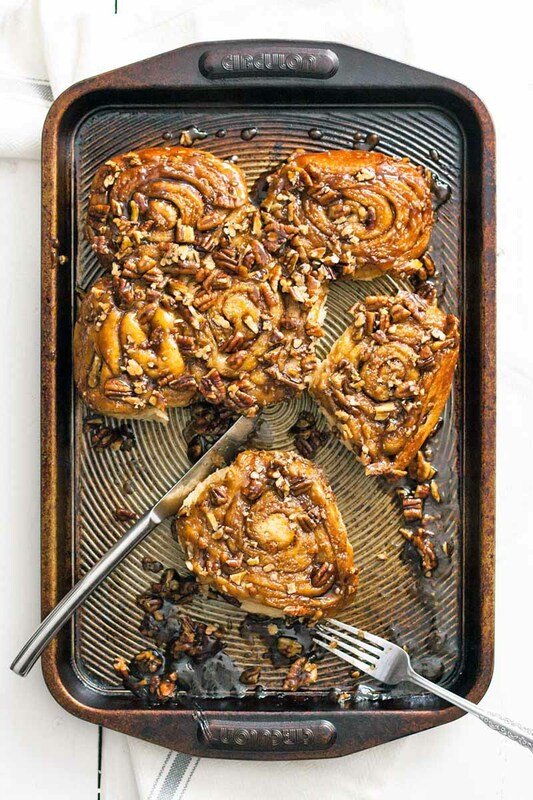 These breakfast rolls also make me feel like an awesome person, because I’m pretty sure pecan sticky buns are near the top of my dad’s list of favorite foods, and I’m planning to make these for him on Christmas morning. Best daughter ever, am I right? When we were kids, my parents would throw Roxy and me on the back of the tandem bikes, and sometimes we would ride down to Balboa Island near Newport Beach, California. The island has a really cute little downtown area, complete with a cinnamon roll shop. Just about every Fourth of July we’d ride down, and everybody was allowed to get some sort of sweet treat. Well, almost – Roxy and I had to split one, even though EVERY SINGLE TIME I just really wanted to have one all to myself. 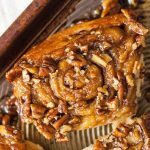 And every time, my dad would get a pecan sticky roll – he called them “pecan death rolls” due to the number of calories in them – and he’d enjoy the whole darn thing all by himself. He supremely enjoyed them, excess calories and all. I’m not sure how long it’s been since they rode down and actually allowed themselves to splurge like that, but this year I’m bringing the sticky, sugary goodness right to my parents’ kitchen on Christmas morning. I can’t wait! In the past, on Christmas morning I’ve always made cinnamon rolls. 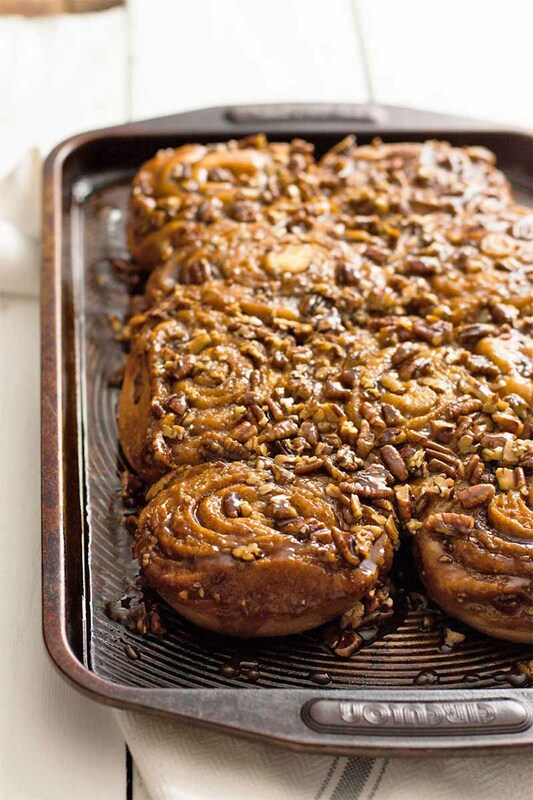 For some reason I figured that sticky pecan rolls would be wayyyyy more difficult to make. And let me tell you, I was wrong. The baking process is totally the same, and it’s actually pretty darn easy. 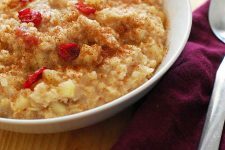 You can even make them the night before, so that you don’t have to wait until noon to eat breakfast on Christmas morning! It’s SUCH a win. I love, love, love these rolls! So I have a proposal. It’s time for a new holiday, not one that I invented, but one that’s worth celebrating. Christmas in July is almost here. If you need an excuse to celebrate, go for it. I give you permission. 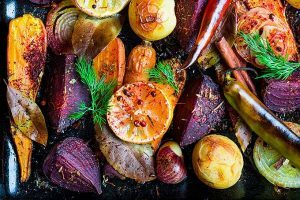 If there’s any special holiday recipe that enjoys a place on your table more than once a year, this is it. 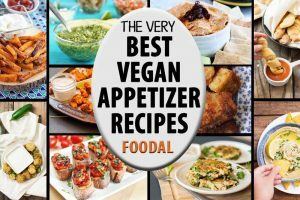 Best of all, my version is vegan. So there’s no butter, no eggs, and no dairy to worry about. Just pure deliciousness, without the animal products. 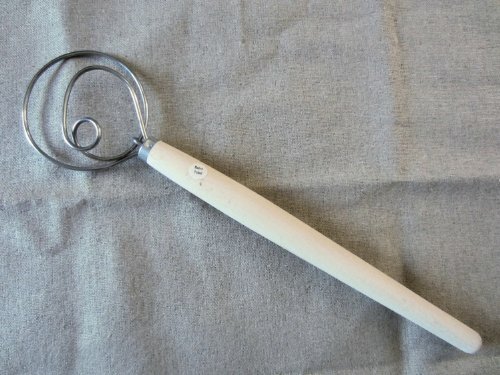 And just in case you haven’t heard of this before, my favorite tool to pull the dough together for this recipe is a Danish dough whisk. The loops of wire on this special whisk are perfect for this purpose, and you can find one available on Amazon. Prep dough the night before. While dough rises, make the sticky brown sugar sauce and chop the pecans. 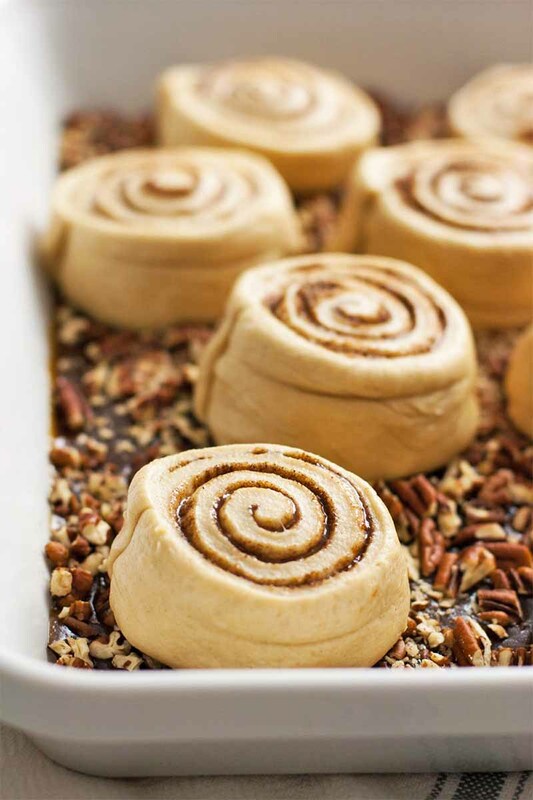 Roll the dough into a rectangle, and sprinkle with cinnamon sugar. Roll the dough into a spiral tube, and cut into segments using dental floss. 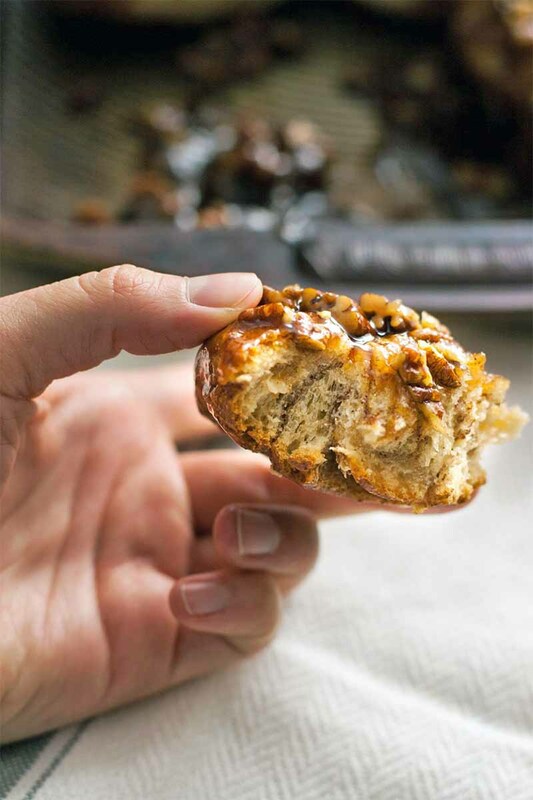 Arrange atop the sugar sauce and pecans, cover, and refrigerate overnight. 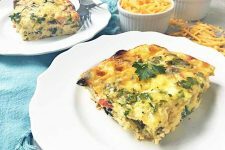 The next morning, pull the pan out of the fridge to return to room temperature while the oven preheats. 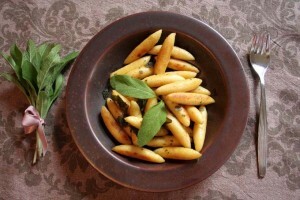 Cook for 30-35 minutes, until nicely golden. Invert over a baking sheet, and serve! So, there you go. You’ll be in sticky finger-licking heaven before you know it. Even though there are eight steps, they’re all really simple. You can do this! 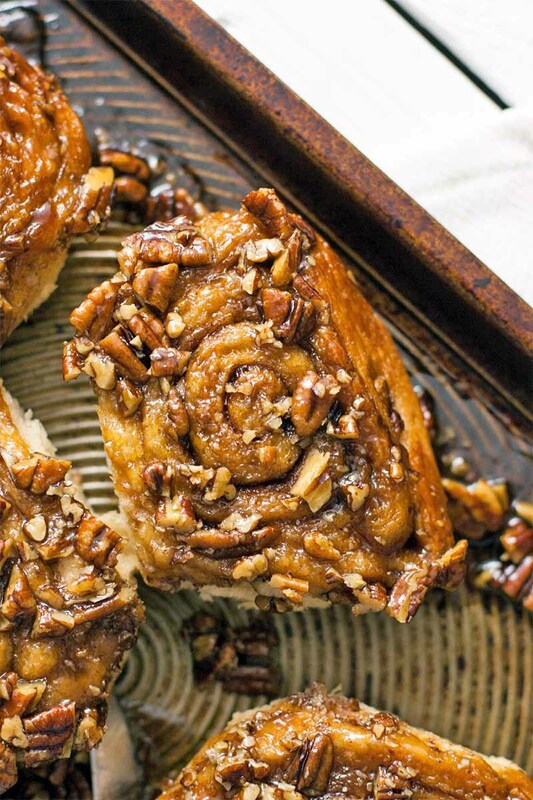 These vegan pecan sticky rolls are the best! Make them the night before and bake in the morning for an easy and stress-free breakfast. 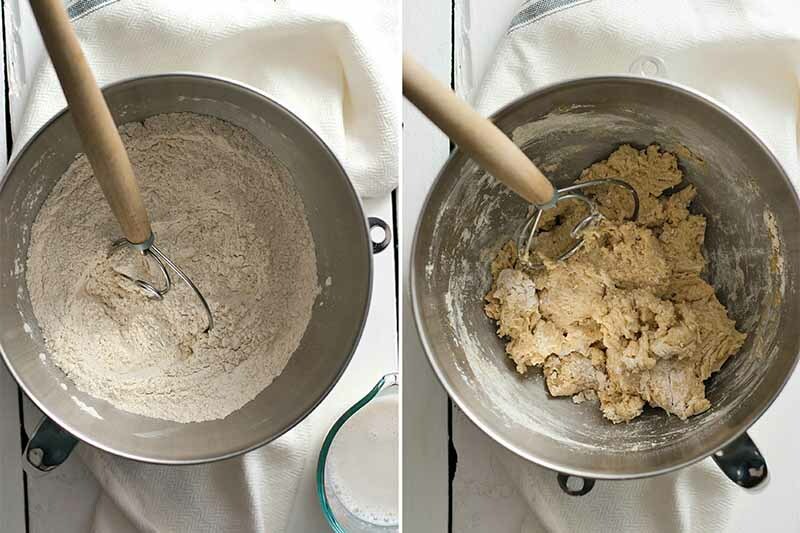 Combine the flours, yeast, sugar, and salt in a large bowl or bowl of a stand mixer. 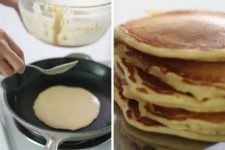 In a small saucepan, heat the milk to lukewarm (but NOT hot) stir in the margarine until it is completely melted, then pour over the flour mixture. Use a Danish dough whisk or large spoon to mix into a shaggy dough. If you are using a stand mixer, attach the dough hook and knead on medium-low speed until a smooth dough forms, about 8-10 minutes. 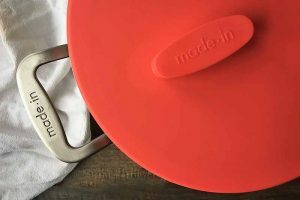 If you are kneading by hand, dump the dough out onto a smooth surface (like a solid countertop, marble slab, or a large cutting board) and knead until smooth, about 12 minutes. Oil your hands with a bit of spray oil, then gather the dough and shape into a ball by pulling the sides around and down to the bottom. Oil the bottom of the bowl you mixed the dough in and place the dough inside. Spray the top and cover with plastic wrap. 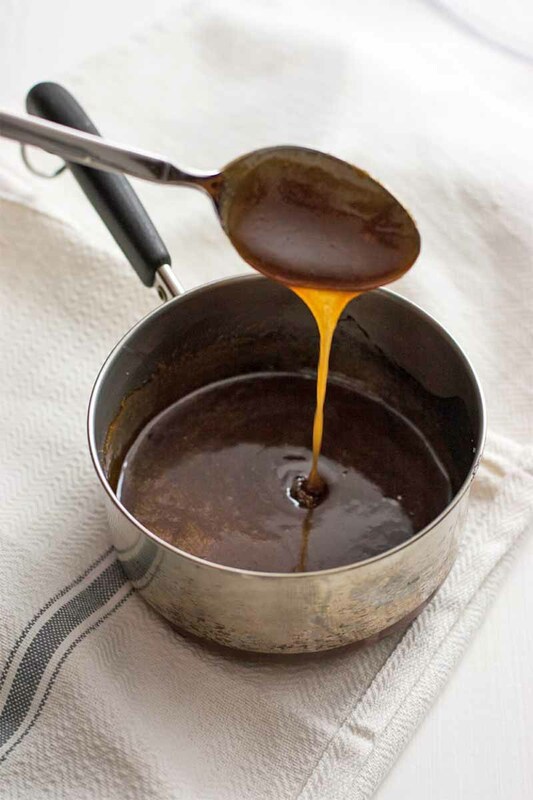 Combine the brown sugar, corn syrup, and margarine in a small saucepan and set over medium-low heat. Cook, stirring constantly, until it starts to simmer on the edges. Cook for 1 more minute, then remove from the heat. 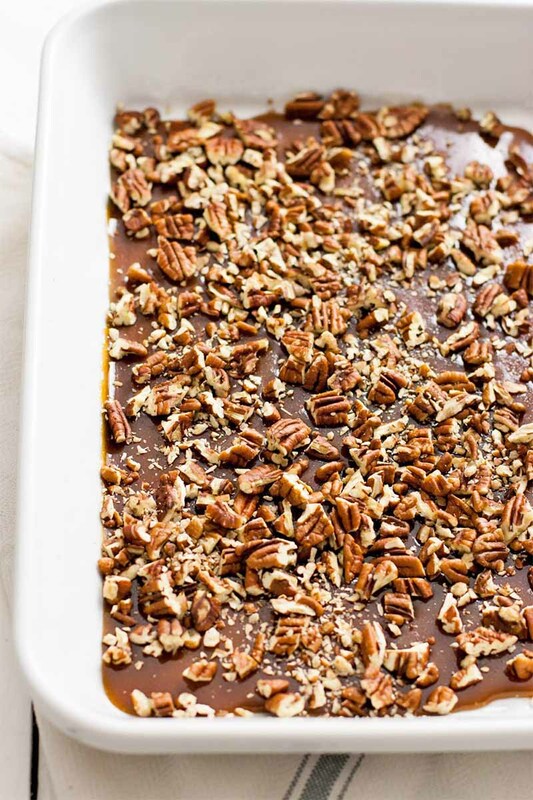 Pour the syrup into the bottom of a 9×13″ pan and top with the chopped pecans. 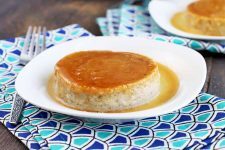 Combine the brown sugar, white sugar, and flour for the filling in a small bowl. Use some spray oil to grease a solid work surface, and dump the proofed dough out of the bowl. Use a rolling pin to roll into a 12×15″ rectangle. 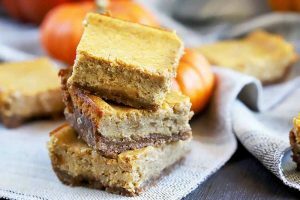 Use a silicone pastry brush to spread a thin layer of almond milk on top of the dough, then sprinkle the filling evenly on top, leaving a 1/2″ border at on one short side that will be used to seal the edges. Roll the dough into a tube, starting on the opposite side from where you left the border without filling. Pinch the seam to seal on this edge, pressing together the sticky dough. Take a long piece of plain, unflavored dental floss and bring it under the tube of dough. Cross the floss over the top, then pull tight to cut the roll. Cut the into 10 even pieces, and arrange in the baking dish cut side down, with about 1″ between rolls. The next morning, remove the rolls from the fridge (they should have gotten a bit puffy) and let sit on the counter for 30 minutes. Preheat oven to 350ºF. Remove the plastic wrap and bake for 30-35 minutes, rotating halfway thorough, until golden brown. Carefully place an inverted baking sheet on top of the baking dish, and then turn upside down. Let sit for about a minute so that the sticky sauce and pecans can drip down onto the rolls, then remove the baking dish and serve. Try to find a warm place for your dough to rise. My oven has a proof setting, which works wonderfully and the dough rises in just 40 minutes. Turning the oven light on and closing the door is also an option, as well as microwaving a glass of water until it boils, adding the dough, and closing the door. If the dough is proofing in a cold place, it will take longer to rise. 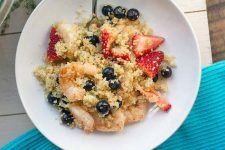 Whether you’re ready to celebrate Christmas in July, or you’re going to hold on to this recipe until the winter weather arrives (or both! 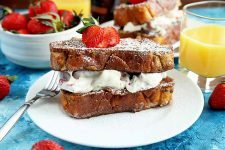 ), it’s the perfect option to have on hand when you’re craving something homemade for a special breakfast. What are some of your favorite holiday food memories? 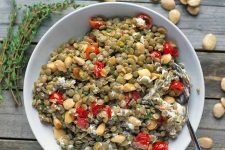 Share them with us in the comments below, and be sure to give the recipe a five-star rating while you’re there, to let other readers know how much you loved it! Photos by Raquel Smith, © Ask the Experts, LLC. ALL RIGHTS RESERVED. See our TOS for more details. Originally published on December 10th, 2015. Last updated: March 14, 2019 at 19:08 pm. Product photo via BrotformDotCom. With additional writing and editing by Allison Sidhu. Oh boy do they look good! Thanks for sharing! When you say rotate half way through do you mean turn them 180° or flip them upside down? Rotate the pan 180 degrees! Raquel these sticky buns look gorgeous!! So gooey and soft, YUM. Just curious if something other than corn syrup can be used? Perhaps brown rice syrup? I haven’t purchased corn syrup in YEARS and would hate to have a bottle sitting in my pantry until the end of time for 2T. I totally get that! I haven’t tried these with anything else, but if I was going to I would probably go for either maple syrup or brown rice syrup. If you give one of those a try can you let me know how it goes? Or you could see if a neighbor has any corn syrup you could use! Thank you thank you thank you! 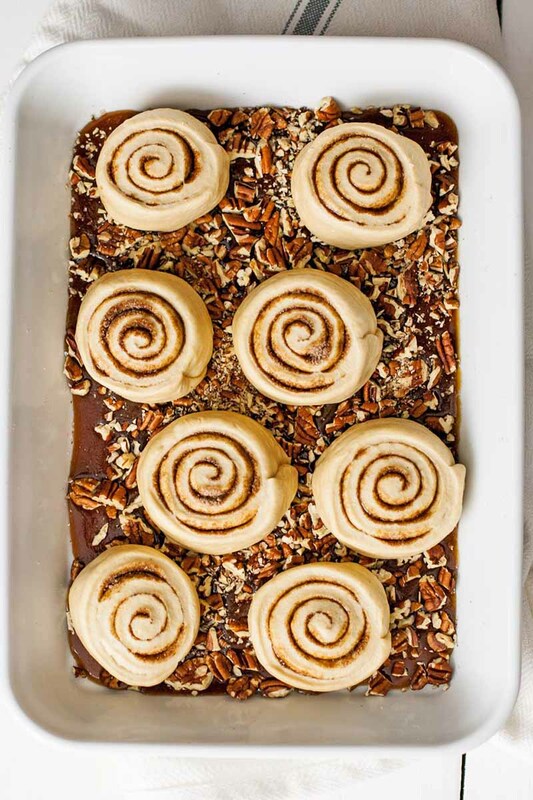 I always make Caramel sticky buns for Christmas morning, but now that my daughter is Vegan and I am eating primarily plant based, I was trying to find a new recipe and I wasn’t sure about subbing in non dairy milk and Vegan butter in my normal recipe…this is essentially my normal recipe…with those same ingredients subbed in! Yeah! Yay! It’s always so great to be able to stick with tradition, even if someone’s diet changes. Have a great Christmas, Amanda! 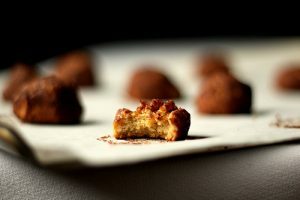 they look awesome… if i was to make these in advanced, would i be able to freeze them before baking them? Hi Maria! You sure can. There are two ways you could do this. The first is to make the dough, let it rise once, and then place it in a zip-top bag and freeze it. When you want to make the rolls, let the dough defrost in the fridge for about 12 hours, then roll it out, make the rolls and sticky sauce, and put everything together. You could let these rise in the fridge overnight, or let them rise for about 40 mins to an hour and then bake. 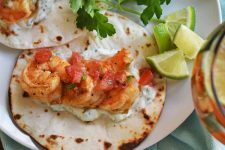 The second way to do it would be to make everything as the recipe describes, but then freeze the prepared rolls and sticky sauce all together. Let this defrost in the fridge over night, and then bake as directed. Haha, thanks! 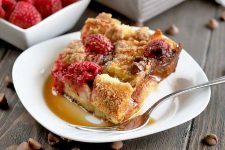 But I seriously need to make that french toast casserole. My Aunt used to make one that was SO GOOD but I’ve never attempted one. 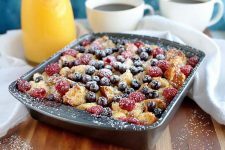 We usually just do regular french toast, but next time I need to feed a crowd… Have a Merry Christmas, Sarah! 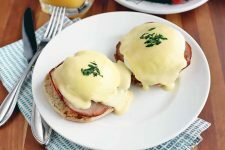 Hi, these look super yummy and I will make them for my son for his graduation breakfast, but don’t you need cinnamon??? Hi Gail! Yes, there is cinnamon in the filling. It’s in the ingredients but I forgot to call it out in the instructions, but that’s been fixed. Thanks for letting me know! STAWP, these look amazing! Literally drooling all over myself right now! Wish I had one of these in front of me!!! I REALLY want to make these, however I DON’T want to wait until tomorrow to have them. Could I just let them rise a second time in the oven and then bake them the same day? Thanks for the recipe. Yep, that would definitely work! This looks absolutely amazing! I tried cinnamon buns a few months ago but failed with the rolling and have been scared ever since. But seeing these i’m definitely going to give it a go again! Pecans are my favourite. Mmm. My god, this looks amazing! Do you think I can replace the flour with spelt? Or what’s the purpose of using those two different flours? I’d say I’m a pretty good cook, but I haven’t had much success with anything that involves flour and yeast! 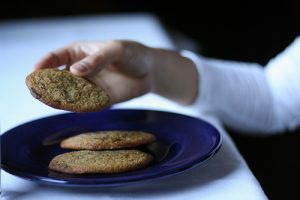 The whole wheat flour could be replaced with spelt, but swapping out the all-purpose entirely would result in a more dense, heavier finished product. The purpose here is to lighten up the dough with a combination of whole grain and refined flours. That’s not to say that the recipe wouldn’t work, but it will turn out a bit differently than what’s described here. 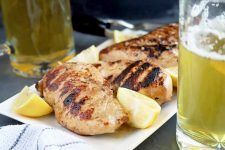 If you do give it a try, remember to add a little extra liquid as well. 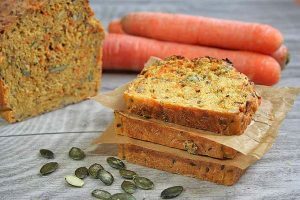 And check out our article on baking with whole grains! How many cups is 8 oz? I’m confused because 8 oz is one cup but it says 1 cup 3/4 for flour and it says 7 oz 3/4. I made these for Christmas morning, and they were yummy. I just wish I had used the proper sized pan (I didn’t have a 9×13 pan)… turns out that too small of a pan means the sticky filling can’t drip down the sides of the buns. But it was still good! Just thought I would mention that for anyone who might be wondering.